Datatrack247 has a compliance package that will assist you to become, and remain, compliant, no matter what changes the FMCSA introduces in the future. – Let us worry about compliance so you can get back to trucking ! Get critical transportation resources and solutions covering FMCSA compliance including DVIR, HOS, IFTA, ELDs. 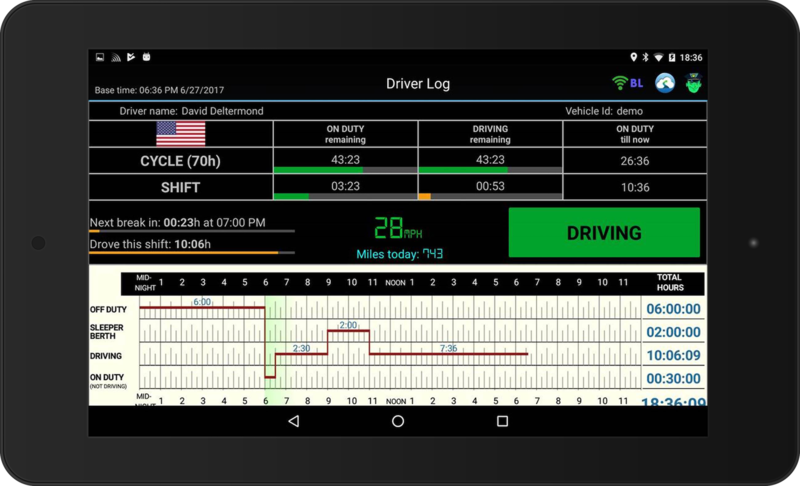 You can manage driver log reports and vehicle inspection data all with our user-friendly Electronic Logging Device solution. HOS regulations aim to improve safety by keeping fatigued drivers off the road. Fleets that meet the compliance requirements have a lower chance of accidents, injuries, and fatalities related to operating commercial motor vehicles. HOS is one of three compliance efforts that also include IFTA and CSA. For self installation our Unit Price $199 including custom Harness that fir your truck / bus. Our systems and solutions uniquely and seamlessly integrates Compliance tools such as Hours of Service, IFTA mileage collection, DVIR into a cost effective software suite that includes Driving Safety, Productivity and Fleet Maintenance Management as well as Marketplace Add-Ins to further integrate the data with applications that are important to the running of the business. Datatrack247 views this integrated approach as essential for any small or large business to see the ‘big picture’ in business operations. Eliminates the need for paper log books for truck drivers. All data is recorded electronically and saved as a tamper-proof e-log. 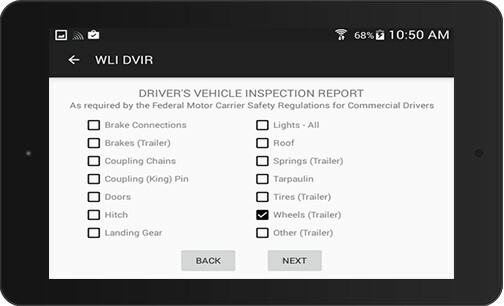 Flexibility is built into GPS, HOS and reporting features to ensure you operate within new and/or existing guidelines set by DOT/FMCSA – from the get-go. Fully automated and integrated EOBR, HOS and e-logs improves driver productivity and reduces errors by automating the entry, recording, completion and storage of all required info – right from the cab. HOS alerts drivers and supervisors of pending driver violations, with 60,30,15 and 5-minute rule violation warnings. Dispatchers can view logbooks 24/7/365 – at a push of the button. Reports include State Miles reports, IFTA, Miles Tax reports. A full 8 days of driving data available on demand. Reports and data are accessible for 12 months and can be archived from 6 months to 6 years. Two-way integrated messaging lets dispatchers send and receive information to drivers, alerting them of schedule changes, road conditions, and new routes.